What is Freekeh? 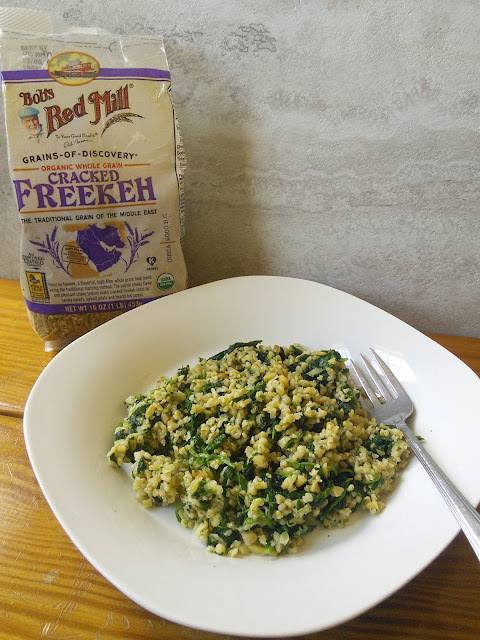 Freekeh is a flavorful, high-fiber whole grain that is a traditional food of the Middle East and Northeastern Africa. This roasted young wheat has a nice smoky flavor and a pleasant chewy texture which makes it great for side dishes and salads. This yummy grain cooks up in 25 minutes and also makes a hearty hot cereal. This whole grain is loaded with nutrition too. A ¼ cup serving has 8 grams of fiber, 7 grams protein and lots of iron. I was sent a package of Freekeh from Bob’sRed Mill and I could not wait to cook it. I placed this whole grain in boiling water and simmered it for 25 minutes. The result was a marvelous whole grain that looked like cooked wheat. I tasted it and I loved the chewy texture. I could have eaten the whole pot of Freekeh just as it was, but of course I wanted to make a side dish with it. I added a bag of cooked frozen spinach, some parmesan cheese and some spices. The result was a healthy whole grain side dish. Next time I will add some tofu or other protein to make it a complete meal. Place the water into a saucepan and bring to a boil. Add the cup of Freekeh, cover and simmer on low for 25 minutes. When the Freekeh is cooked, add the remaining ingredients and stir to combine. Serve as a side dish. I am going to have to try this yummy grain another day for breakfast and add some sugar and milk to it. I can see Freekeh being great for making my homemade veggie burgers. How would you enjoy Freekeh? What ingredients would you add to this grain? 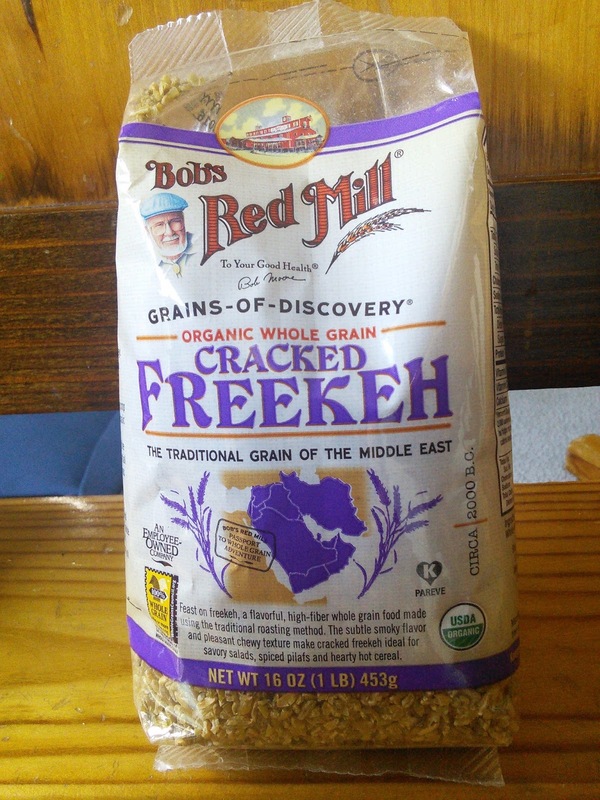 I've never heard of freekeh, sounds interesting and actually tasty! Never heard of Freekah before! I love trying new foods and freekah is new for me! Your recipe is easy so I look forward to trying it! Thanks for sharing this yummy freekah recipe at the Healthy Happy Green Natural Party! I'm pinning and sharing.